Manufacturer & Supplier of PLC Controller for Production Processes. Our product range also comprises of CNC Controller, CNC Machine Control Panel and Servo System. 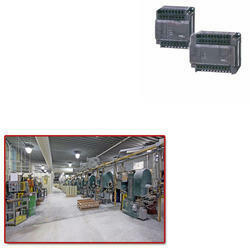 We are counted among the leading manufacturers and suppliers of a wide array of PLC Controller for Production Processes. These controllers are manufactured keeping in mind the variegated requirements of our esteemed customers. To meet the diverse of customers, we customize these controllers on the basis of their requirements at reasonable rates.